U. S. National Counterterrorism Center Director Matthew Olsen said recently that the "single greatest terrorist threat” to U.S. security in 2014 "will come from Syria." How has Syria gained the dubious distinction of topping the threat list? How did Syria, the region and the world get to this? The threat from Syria largely derives from the growing prominence and military credentials of radical Islamists based there. Nearly half of the 100,000 rebel fighters seeking to oust Bashar Assad are either jihadists or hardline Islamists (the findings from a September 2013 study by IHS Jane's). This figure is only just equaled by the 45,000 fighters under the command of the Western-backed and nominally secular Free Syrian Army (FSA). According to another recent study around 6,000 - 7,000 foreign fighters have joined Salafist/jihadist groups in Syria, mainly the Al-Qaida-affiliated Nusra Front and the Islamic State in Iraq and the Levant (ISIL). These fighters originate from many countries: 4,500 from the Arab world (Libya, Tunisia, Jordan, Iraq, Egypt and Saudi Arabia); around 1000 from Western Europe (especially Belgium, Britain, France, Holland and Germany); 500 Turkish citizens are fighting alongside Nusra Front; an estimated 500 originate from Asian Muslim countries, including operatives with previous military-terrorist experience in Chechnya and Pakistan; and an estimated 15-20 Israeli Arabs, dozens of Gazans and several score from Lebanon (especially from south Lebanon's Ein al-Hilweh refugee camp). A paper by the Maryland University START Consortium researchers concluded that Al-Qaida-affiliated groups in Syria will have gained greater military power by the end of 2015, while the military efficacy of competing groups such as the FSA and Assad’s regime military forces will decrease. This situation is a result of the relative effectiveness of military coordination between Al-Qaida-affiliated groups; the extensive territorial and logistical safe havens they have in the northeast; and significant outside support for weapons and recruitment from the Gulf Cooperation Council. The international community was painfully slow in both supporting the uprising of the Syrian people at its inception and reacting to the cruel repression of the peaceful protests in Syria, besides its rhetorical declarations. Even when the West decided to support the uprising it did not provide the moderate FSA fighters, not yet overwhelmed by Islamist forces, with the means to challenge the regime’s military might. 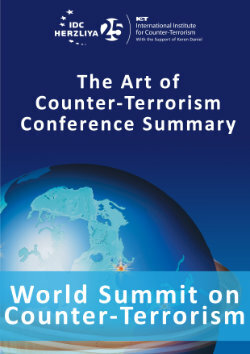 The United States and Europe gave regional actors a free hand to push their own contrasting strategic interests: Turkey, supporting the Syrian Muslim Brotherhood, with no real strength inside Syria but controlling the political opposition abroad; Saudi Arabia and especially Qatar, financing and arming the radical Sunni Islamist groups, even those allied with Al-Qaida. Russia, and to a lesser extent China, did their upmost to stop any serious steps by the United Nations; all the while, Russia continued arming the Damascus regime. The 2013 deal to dismantle Syria’s chemical arsenal, with Russian (and probably Iranian) mediation, did not really impact the Assad regime. It was too little, too late: Who now remembers that after the terrible chemical attacks against Syrian civilians, UN Secretary-General Ban Ki-moon called for the perpetrators of such a crime against humanity to be punished? The deal had quite the reverse effect: It strengthened Assad’s hand in the fight against the rebels, as proved by the subsequent deadly air and missile bombings of civilian targets in Aleppo and Homs, and enhanced the radicalization of the rebel groups. Assad has now been invited to the Geneva II talks and hopes to use the intervening time to quash the opposition forces as much as possible. On the ground the political and military weakening of the FSA continued unabated in 2013, in spite of the formation of a new Supreme Joint Military Command Council (SJMCC) commanded by Brig. Gen. Salim Idris. By December 2013 the FSA had renamed itself the Syrian Rebel Front (SRF), representing 14 different more "secular" rebel brigades. Meanwhile, the numerous Islamist and jihadist forces, financed by the Gulf states and rich regional businessmen, were engaged in a continuous series of unification attempts. By December 2012 the Syrian Islamic Front (SIF) was formed as “one of the Islamic forces working to preserve a unified discourse and a coalition.” It involved 11 groups from the Damascus area and northern Syria, later reduced to 6 groups by a process of internal unification. The September 2013 U.S.-Russia deal for the dismantling of Syria’s chemical arsenal was the trigger for the formation on September 24 of The Islamic Alliance, a coalition of eleven Islamist and jihadi Syrian rebel organizations, including for the first time the Al-Qaida affiliates, Nusra Front and ISIL. However, it seems that by mid-2013 Saudi Arabia began to understand that the rise of the Al-Qaida-related jihadist forces in Syria, which gained more territorial control, including Syria’s major oil fields, represents a threat to its own interests. On November 22 the formation of The Islamic Front (al-Jabha al-Islamiyya) was announced as "an independent military and social force aimed at bringing down Assad's regime and replacing it with an Islamic state.” The exclusion of Nusra Front and the Islamic State in Iraq and the Levant suggests an attempt to build a purely Syrian coalition financed by Saudi Arabia. According to the Middle East expert Yezid Sayigh, “the latest trend is a Saudi plan to build a new national army for the Syrian opposition...capable of defeating the Assad regime” and reflects the Saudi leadership’s dismay about the U.S.-Russian agreement which could potentially rehabilitate Assad as a partner of the international community. Meanwhile the jihadists have engaged in a wave of assassination of moderate Syrian rebels. In July, they killed popular FSA commander Kamal Hamami, a member of the rebel supreme military command; in early December, jihadists linked to ISIL executed FSA Secretary-General Ammar al-Wawi, a prominent moderate rebel commander; ISIL has kidnapped dozens of Syrian activists and news providers. The assassinations, along with the suspension of non-lethal aid to the FSA by the United States and Britain following the seizing of the Bab al-Hawa weapons storehouses at the beginning of December provoked a sense of doom in the ranks of the Western-backed rebel coalition. It is in this framework we should see the ultimatum given on January the 4th by The Islamic Front (the new Syrian Islamist alliance), after days of deadly infighting against the ISIL in the northern provinces Idlib and Aleppo, to leave Syria within 24 hours. With all these shifting configurations, players and patrons, it is difficult to predict the outcome of the bloody Syrian civil war and even more difficult for the West to decide which side to support. For those in the West, and Israel, who still think of the Assad regime as a better solution, because the Golan border has been "quiet" for four decades and Lebanon was "stabilized" by Syria's overt influence, one should remember the Syrian strategic umbrella given to Fatahland in the 70s which led to Israel’s first Lebanon War; the same umbrella covered Hezbollah during its terrorist/guerilla activities in the 80s and 90s; the Second Lebanon War and the threat of tens of thousands of missiles Hezbollah possesses today and continues to receive from Syria and Iran; and the assassination of Lebanese former PM Rafik al-Hariri and today's spillover of the Syrian civil war to Lebanon. The jihadist threat is now significant and immediate, taking in consideration its territorial gains in northern Syria and the Iraqi Anbar province and the huge number of fighters who will in the future spread globally. What should the West do to support the rise of moderate forces in Syria? To seriously press Saudi Arabia and Qatar to stop financing and arming the jihadists. To help Turkey physically close its borders with Syria. To support the Kurdish moderate forces. To find legal ways to stop the flow of foreign fighters to Syria. And if the U.S. leadership doesn't want to see Syria topping the threat list as an annual event, perhaps 2014 will see American drone attacks against jihadi leaders in Syria. 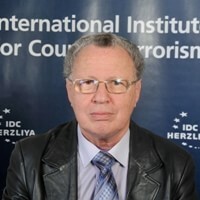 Ely Karmon is the Senior Research Scholar at the Institute for Counter-Terrorism at The Interdisciplinary Center in Herzliya. He is also the Senior Research Fellow at The Institute for Policy and Strategy at IDC.